Mix and match the wines, champagnes and spirits from our enviable cellar to create a gift you know they’ll love. 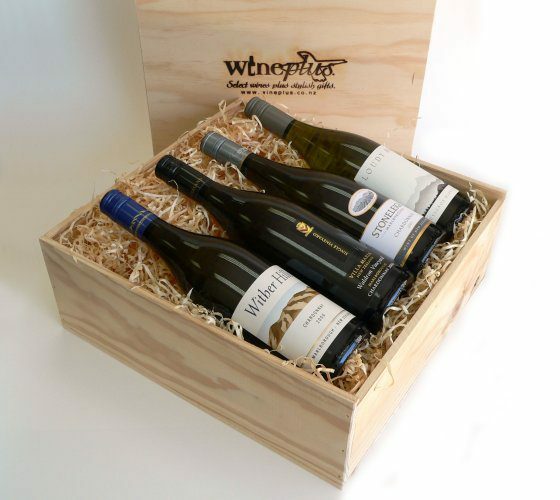 We offer single, double and four bottle boxes. Delicious and hugely popular this Christmas gift box is filled with gourmet treats for the festive season. Includes mince pies, award winning cheese, quince paste, crackers, nuts, marinated figs and a large box of handmade chocolates. Add your choice of wine, whiskey or port. The price of this is additional. For combined orders over 50 bottles please contact us to discuss discount pricing. – Chocolate Brown Award Winning Chocolates (16). – 1 bottle of your choice (*the cost of this is in addition to the price shown above). Our delivery target for purchases made before 2pm weekdays is 2 to 3 working days. See Delivery information for further details. "Shortly before Christmas I ordered a Christmas Nibbles Basket and a Large Chocolate Gift Basket to be delivered to my daughter and her fiancée in Auckland. Every holiday I struggle with sending them something from my home in the USA because of the cost of shipping and the slow delivery. I am so glad I discovered you online. They absolutely loved the gift baskets which were delivered precisely on time. Thank you so much. I couldn’t be happier and will most certainly do business with you again." You must be 18 or over to make a purchase on this site (it's the law). 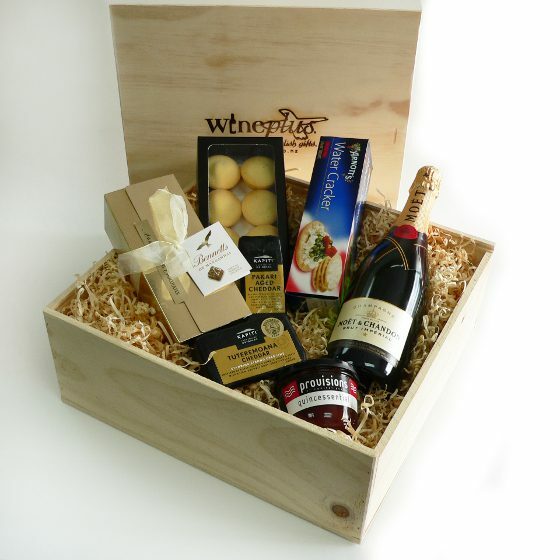 Licencee: Wine Plus Gifts Limited. Licence Number: 59/OFF/075/2018 Expires: 08 April 2020. A copy of our licence can be viewed here.